Ask/Bekic/Buble/Cha; Bertini/Fredricks/T; Bricusse; Buble/Carlsson/Gola; Buble/Chang/Goldman; Carlsson/Styles/Tra;... Fine. In fine packaging. Michael Bublé-Nobody But Me by Michael Buble. Ask/Bekic/Buble/Cha; Bertini/Fredricks/T; Bricusse; Buble/Carlsson/Gola; Buble/Chang/Goldman; Carlsson/Styles/Tra;... Very Good. In very good packaging. 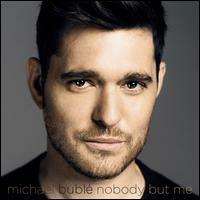 Michael Bublé-Nobody But Me by Michael Buble.